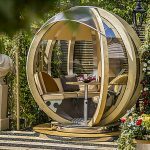 LED Garden Furniture, this type of Contemporary Garden Furniture is not only becoming a popular choice for trendy bars and restaurants but also for those who wish to add a modern and atmospheric look to their patio or outdoor space. 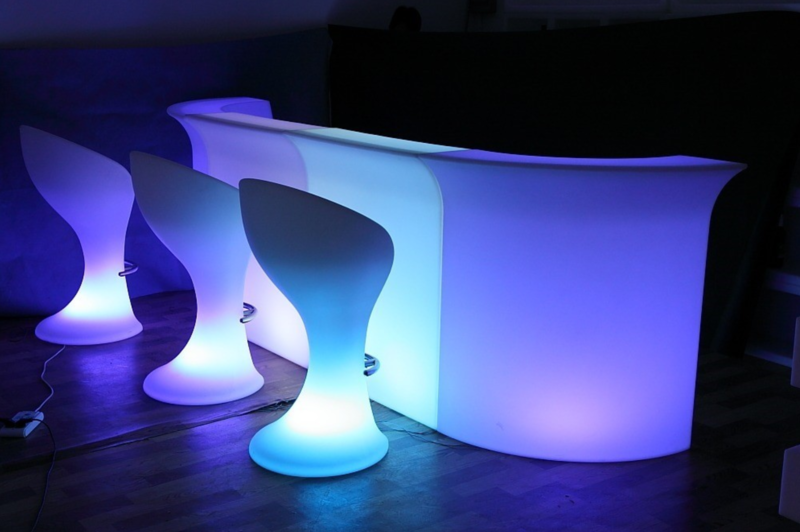 LED Garden Furniture that Lights Up! 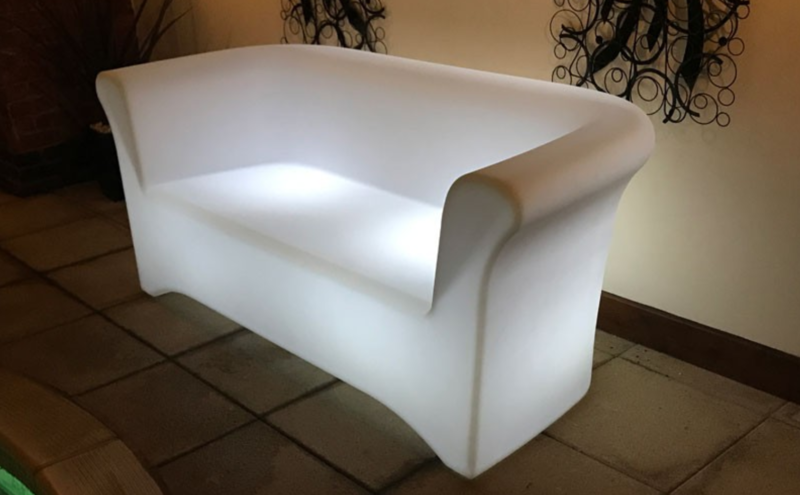 Molded from durable and strong resin LED Garden Furniture can by made into any shape the imagination can think of with some of the most popular items being Seating and Accessories, adding that splash of colour and the convenient addition of light to your outdoor area. Good Quality LED Garden Furniture will be waterproof and be able to left outdoors without any problems from the weather, this is a very important feature as the furniture contains electrical components. Apart from the designs the main feature of Light Up Outdoor Furniture is of course the Lights! The beauty of LED’s is that they can be changed into many different colours and brightness levels which enables you to set the theme to any mood that suits, not only that, the lights can be set to change colour and dim automatically which is a really good feature. 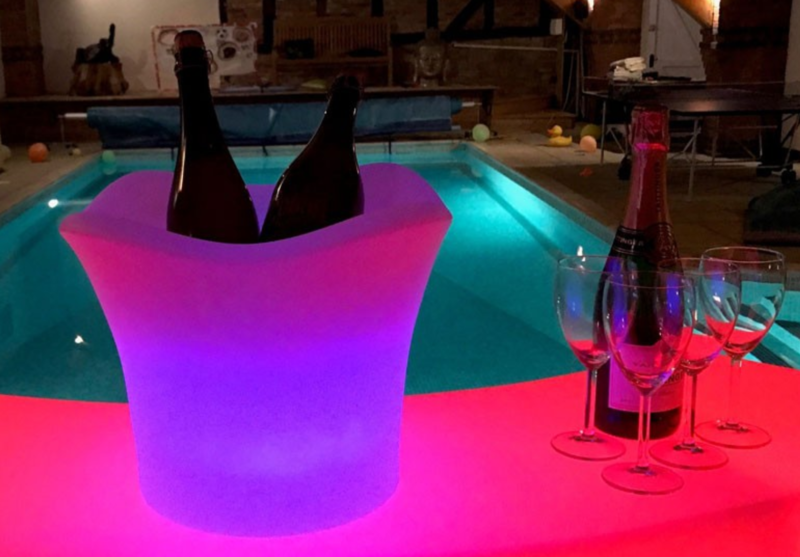 The designs dont stop at just Garden Furniture, there are many other options available such as LED Ice Buckets, LED Planters and LED Light Up Bar Furniture. All of these items come with a remote control that not only turns the lights on and off but also enables you to control the brightness, colours and even enables the lights to flash or fade, this is the perfect feature for those who love to have Themed Garden Parties or have a particular style or look in mind for there outdoor space. 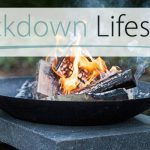 Another great feature of this range of Outdoor Led Furniture is they have built in rechargeable batteries, this means no untidy wires need to be on show. 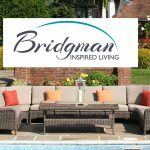 If you intend on using this furniture for long periods of time then you can still operate the lights when plugged into the mains. 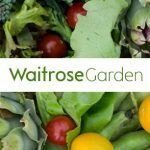 For more Ideas and Inspiration, take a look at the fantastic range of LED Light Up Garden Furniture and Light Up Garden Accessories from the Garden Furniture Centre Click Here.